The beauty of this Decorative Musician Doll with Antique Embossed Work in Metal & Wood lies in the enchanting antique embosses work, which renders it Read More..with a premium feel. The incredibly beautiful design work present on the wooden lower portion of this decorative doll, complements the understated elegance of the metallic other half. 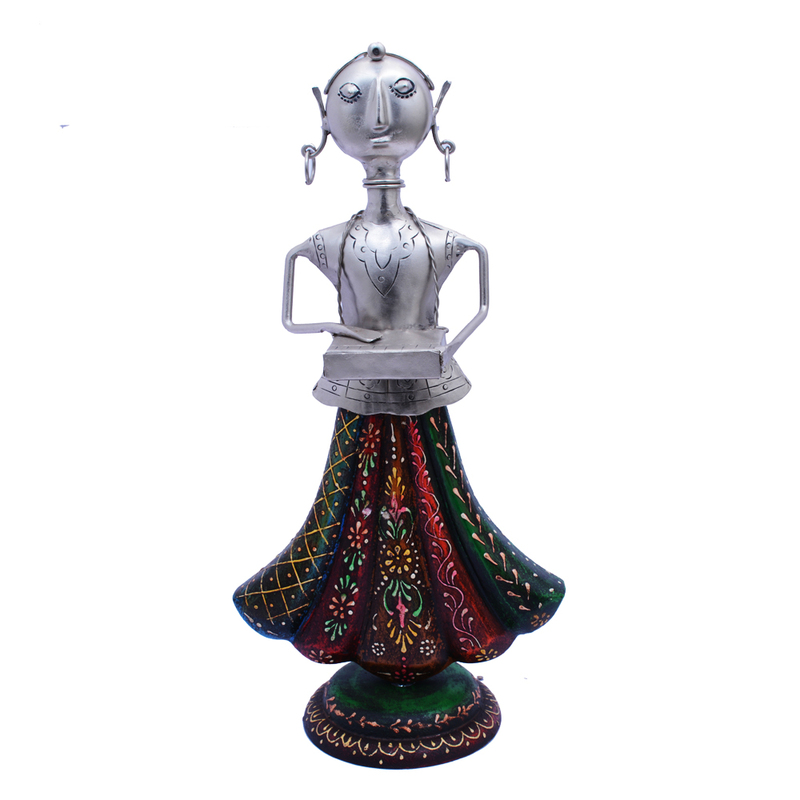 This decorative doll is capable of improving the décor of any room interior in an effortless and classy manner. Bring this home today to showcase your refined sense of aesthetics. Show Less..